WordPress ecommerce theme is a theme of premium category but is available in the online market at affordable cost and is highly suitable in case you are interested to open a retail shop online with the prime focus to create a brand value and expand your business online to a global level. 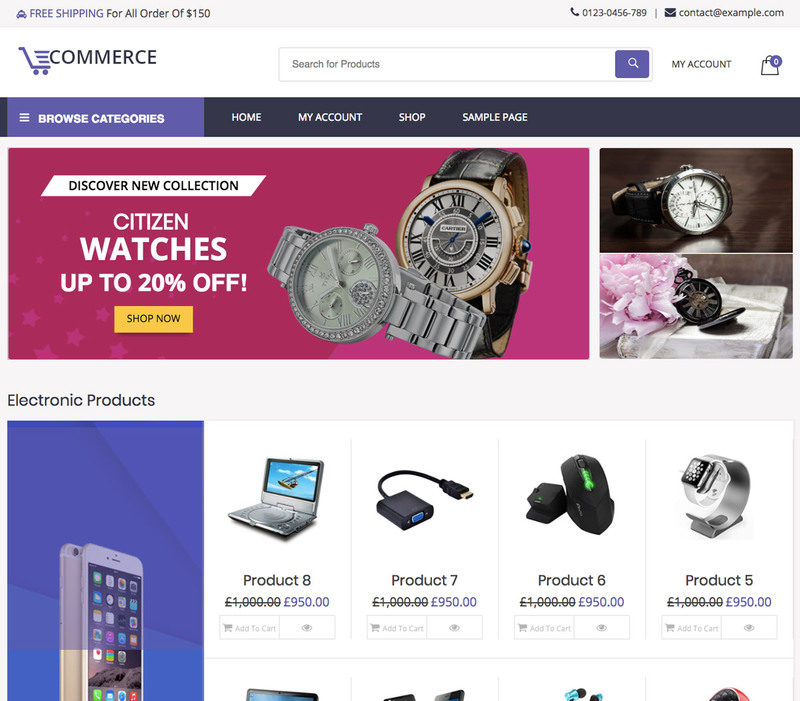 This ecommerce theme is perfectly suitable for retail shop for the various gadgets ranging from fashion to the high tech gadgets. This premium category theme is not only sophisticated but elegant as well besides having some exemplary features like responsiveness, multipurpose utility, CTA[ call to action] etc that are highly useful for the online product sale. Premium word Press ecommerce theme has a special design for the ecommerce shops and has a faster page load time besides being interactive with the customization options. If you buy the WordPress ecommerce theme from the market, you will get the translation ready features and because of this it becomes easy to interact with the global customers who speak different languages. Based on Bootstrap and being mobile friendly with stunning characteristics and animation effects, it is your perfect choice for venturing into the retail business with focus not only on the national sales but international sales as well.